Dinosaurs and Robots: Is the Westinghouse Atom Smasher for sale? 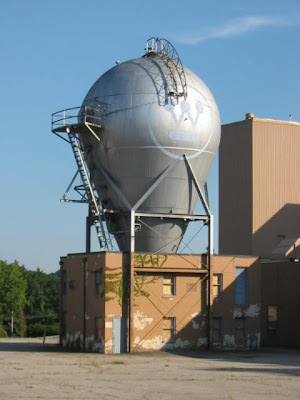 Is the Westinghouse Atom Smasher for sale? Three years before nuclear fisson was thought to be a possible power source, Westinghouse decided to build the first commercial atom smasher. Based on the faith there would be a marketable discovery, this magnificent 5 million volt Van de Graff generator was built in Pittsburgh in 1936. The bulb, proudly emblazoned with the Westinghouse logo, is a 5 million volt generator which shot high energy particles 47 feet down the vacuum tube to bombard a target. 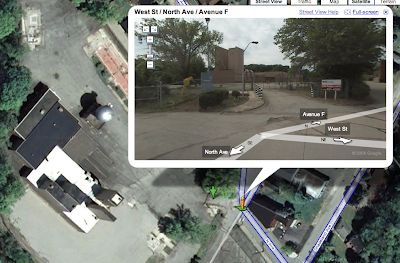 If you look up the location of the Westinghouse atom smasher, there appears to be a for sale sign out front. NAI commercial real estate site states that McBubbles Car Wash is available for purchase, but there is no mention of the atom smasher.